Oi! Is a Latin American-inspired kitchen and bar that focuses on serving Latin-influenced dishes and signature cocktails in a vintage-meets-modern home like atmosphere. Going beyond your usual Empanada and Ceviche, which are also on the menu, there are many more flavours guests can explore and experience. 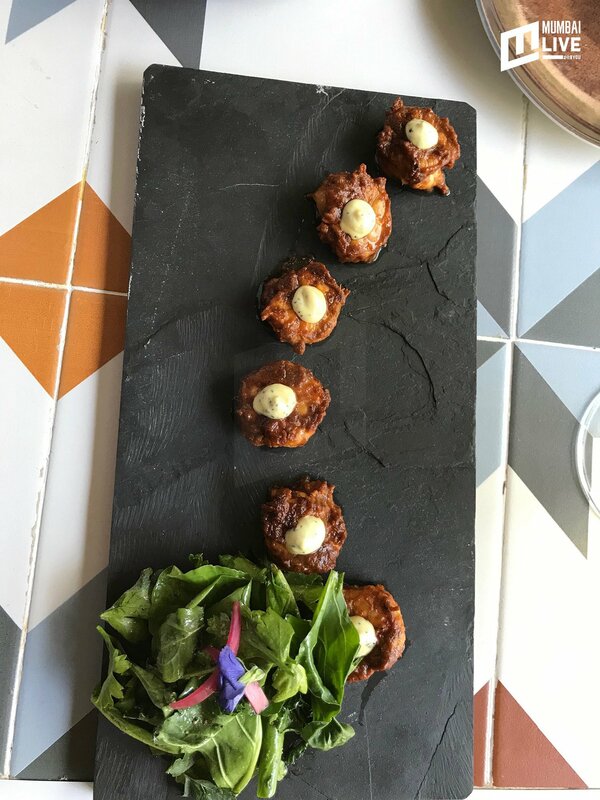 Food is an integral part of the Latin American culture; it’s a way of life reflecting culture, heritage and tradition, which are seen throughout the Oi menu that draws inspiration from various South American countries. 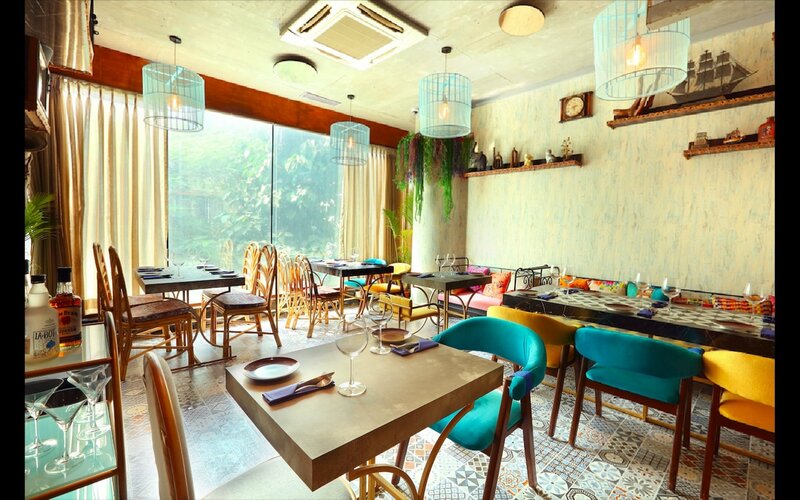 The kitchen and bar at Oi, brings fun dining a new meaning, fine dining plating in a completely approachable and friendly space with happy faces to serve you. A bar designed to reminisce good times and make new (drunken) stories, Oi gives you a unique drinking experience of craft cocktails. The team serves with passion, and takes constant care in selecting ingredients, making their in house syrups and bitters, home brewed liqueurs, an Elixir menu including freshly squeezed cold press juices to the most advanced methods and bar techniques used. Guided by the mantra, high-end, low-key, Oi is the perfect combination of an intimate cocktail den and a social, comfortable bar. Paired with a menu that gives equal attention to vegetarians and meat lovers, but the hero of each dish is always the ingredient. Oi promotes fresh ingredients; slow cooking techniques and flavours that lend themselves to clean eating. Inspired by Latin American cuisine, it’s a natural fit with healthy eating, the menu emphasizes on fruits and vegetables, bold spices and superfoods. The space is designed so you feel like you are walking into an old home, each room brings out a different facet of a house, so come on by, pick your spot and say Oi! 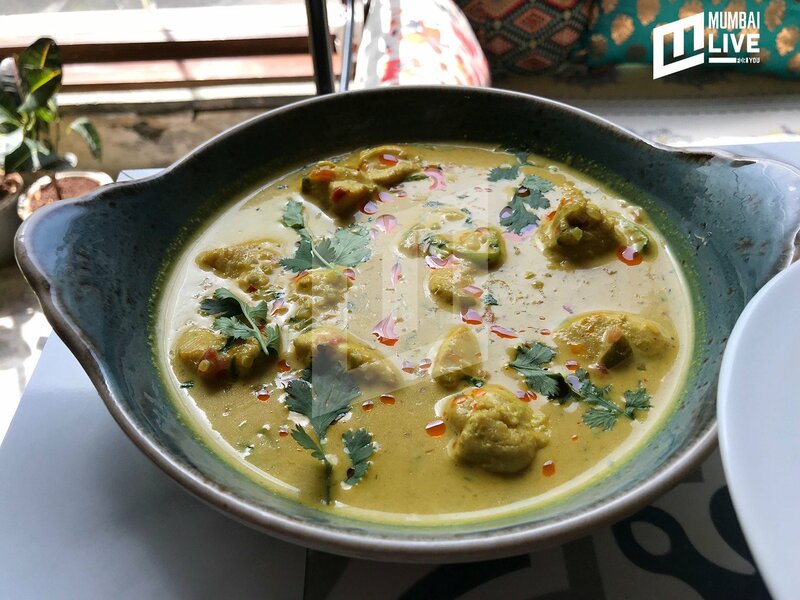 We went over for lunch and tried a variety of Lat-Am dishes, and basked in a cosy, comfortable vibe at Oi! 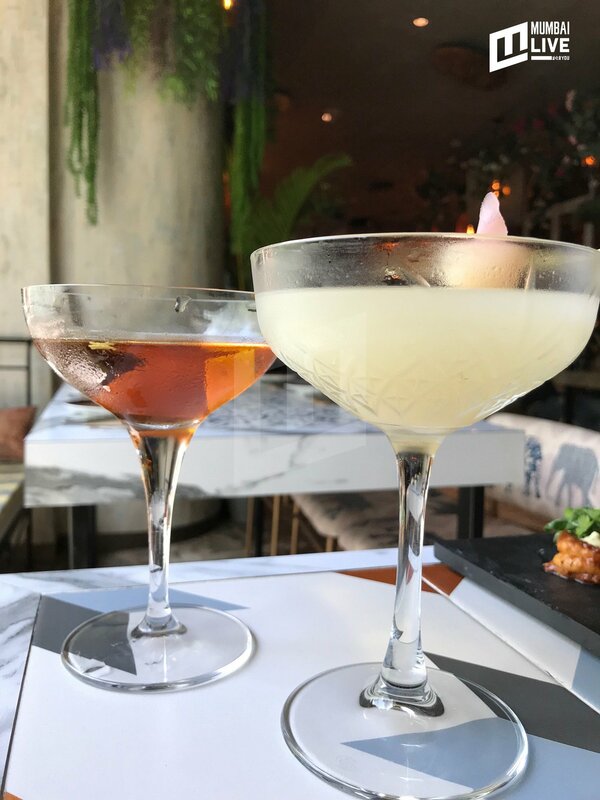 Starting with two signature cocktails, we tried the Ginger & Lychee Martini and Devil's Cat followed with some variety of delectable appetisers. Honey Chipotle Prawns, Brazilian Cheese Bread (Pao de Queijo), Burrata, Bell Pepper Culis, Walnuts & Fruit Jam. Out of the appetisers we tasted, my personal favourite was the Honey Chipotle Prawns. The marination mix of honey and chipotle had infused with the prawns so well, that the flavours were distinctly noticeable. The preparation was spicy, and was complementing my Ginger & Lychee Martini perfectly. 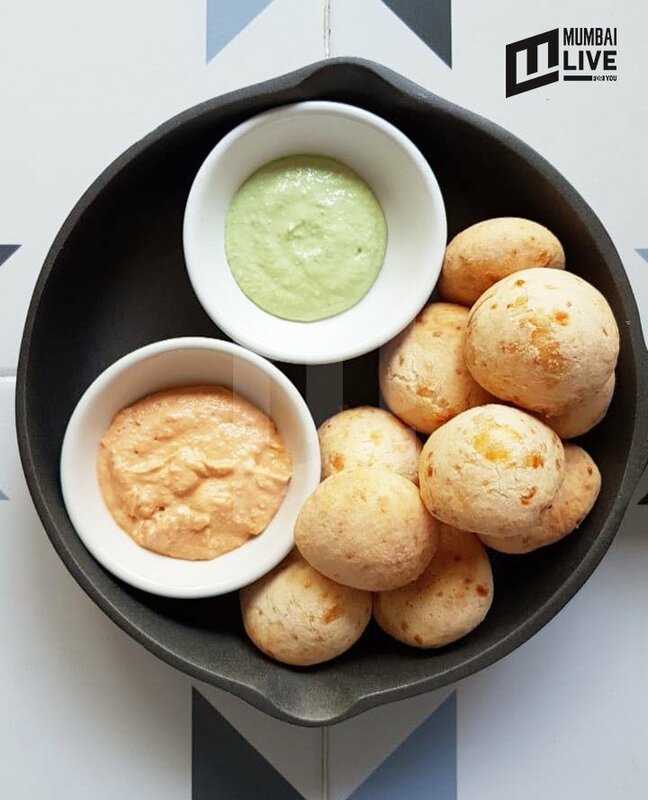 Talking about the Brazilian Cheese Bread, this was a hit with my palate as these small dough balls were filled with cheese and butter. Freshly baked, the bread was an ideal representation of Lat-Am cuisine and the two dips along with it were delicious. We also tried the Lobster & Avocado Ceviche, a classic Peruvian dish which is typically made from fresh raw fish cured in citrus juices and spiced with ají, chili peppers or other seasonings including chopped onions, salt, and cilantro. To the Mains, the Brazilian Chicken Curry with rice gave me a very similar feeling to our South Indian curry. The dish was influenced with roasted cumin, turmeric & coriander, and was served with jasmine rice. The curry looked so appetising with the yellow colour, and it tasted even better! 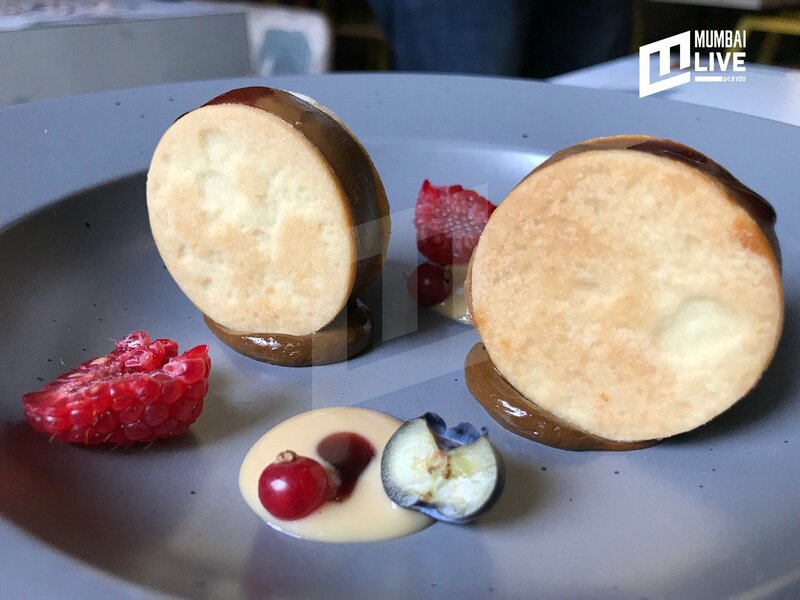 After a scrumptious meal, we had little space for dessert but the Nutella Cheesecake and Dulche de leche cookie was too tempting to pass on. 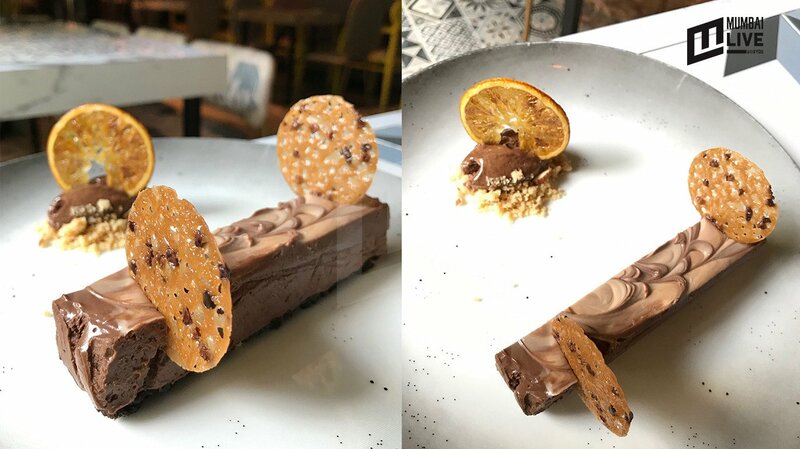 The cheesecake was so rich with chocolate, each bite was like a sweet explosion in the mouth. With excellent plating, adding seasonal fruits and nuts to it, this dessert was worth all the calories it carried. The Dulche de leche cookie wasn't as sweet as the former, but had a distinct flavour of its own. If you want to enjoy Latin American food, and embrace the culture, Oi comes as close as it can offering a variety of dishes which map the vibes. It's a must visit if you want to try a different kind of meal, and taste the vibrant flavours.